This Harrier Day event has attracted visiting Harrier cockpits and Harrier related displays to the museum’s site here in north eastern Nottinghamshire. 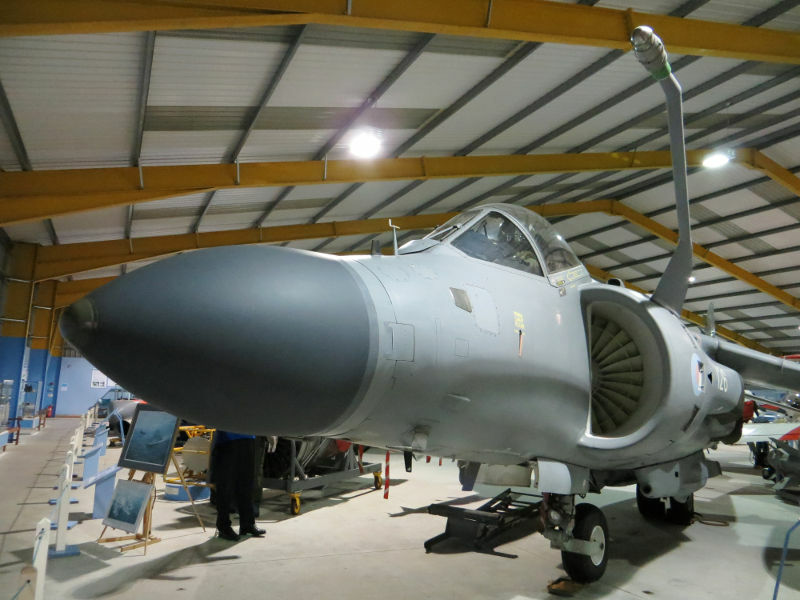 Here they will join the museum’s Sea Harrier ZA176 and VTOL (Vertical Take Off & Landing) test-bed aircraft Meteor FR9 VZ608, to help illustrate Nottinghamshire’s part in the VTOL Story. Adults £9.00, Over 65s £8.00, Children £4.50 and Family ticket [2 adults & 3 children] £24.00. 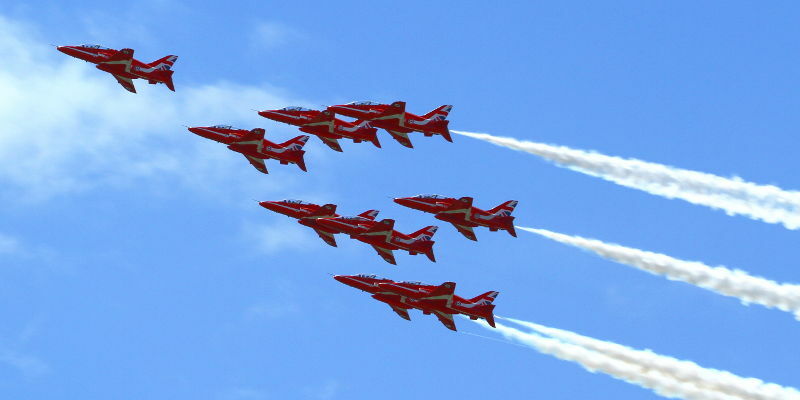 A number of star attractions today confirmed their attendance at the RAF Cosford Air Show, all set to wow the crowds as part of the flying displays on Sunday 9th June. The RAF Cosford Air Show is an advance ticket-only event, with last year’s event completely selling out in the week prior to the show. 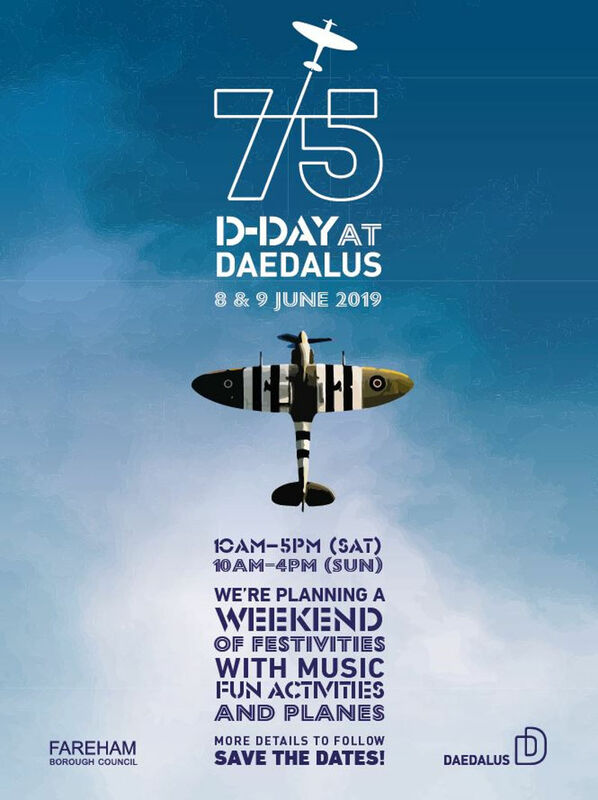 Tickets are on sale at www.cosfordairshow.co.uk and will be available from a selection of Tourist Information Centres from the beginning of April. 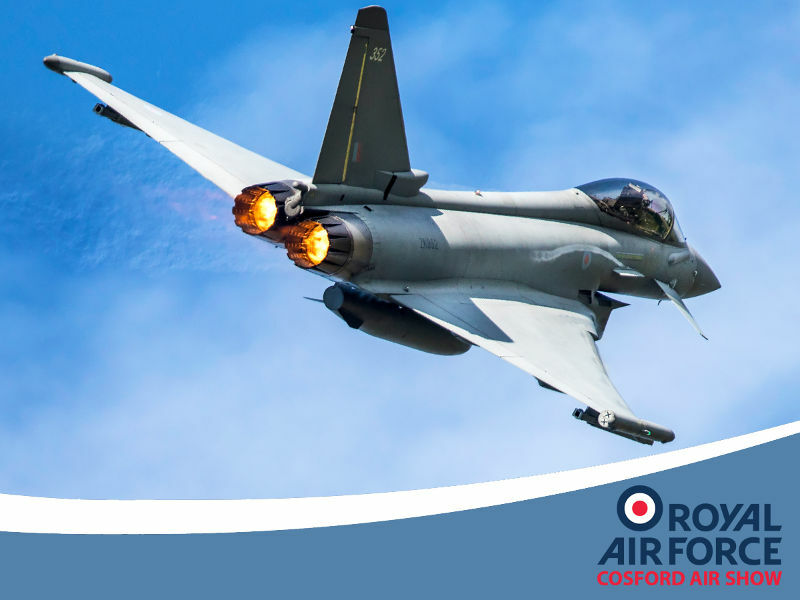 The RAF Cosford Air Show will be one of the few opportunities to see them performing their thrilling show across UK skies this year. 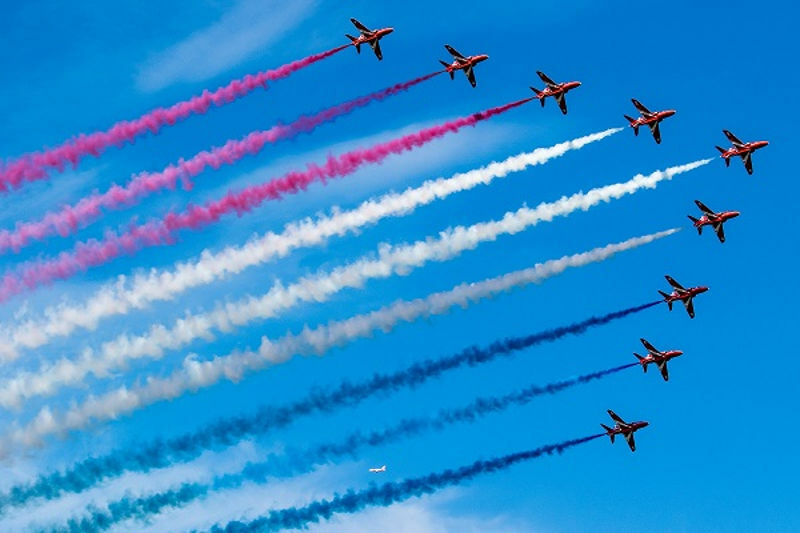 This summer, the Red Arrows will display at several US air shows and areas with strong UK links – the first time they have done so in more than a decade. Additional places for Aerospace Summer Camp are up for grabs! An additional twenty places have been added to the 2019 Summer Time Advanced Aerospace Residency (STAAR) programme, now allowing sixty Year 10 students aged 14-15 to participate in the aviation summer camp. STAAR offers a unique insight into the exciting world of aviation for youngsters interested in future careers in STEM related fields and is fully funded by the global aerospace and defence technology giant, Northrop Grumman, with the support of the Northrop Grumman Foundation in partnership with the Royal Air Force Museum. The two week-long residentials will now accommodate 30 students per week and is delivered by the Museum, Royal Air Force Cosford, RAF Youth and STEM Engagement Team and Tablet Academy. Applications have been flying in since applications opened in February from keen students across the country, as far as Glasgow, Plymouth, Cardiff as well as locally and from the surrounding counties. Now into its third year, the STAAR programme will accommodate more students than ever before thanks to the additional support of a new STAAR partner, RAF Youth and STEM Engagement Team. The deadline for applications has been extended until Monday 8 April, giving students more time to apply. Taking place on 22-26 July and 29 July-2 August 2019, STAAR provides students with five intense days, experiencing life as an RAF engineering trainee, where they will live, work, learn and solve tasks together! The immersive programme is designed to inspire diverse and talented young people to become the next generation of experts in the innovative and high-technology aerospace sector. Through a series of workshops, recruits will be immersed into aerospace design, exploring all the elements required to plan a mission, getting hands on working with real aircraft and engines, as well as learning about important historical missions such as the Dambusters raid. Recruits will also develop critical thinking and team-building skills throughout the week, as well as having a lot of fun! This year students will work towards a CREST Award, a nationally recognised scheme for student-led project work in the STEM subjects and an Industrial Cadet Award, an industry-led accreditation which gives recruits a unique insight into industry – skills and knowledge are built and enhanced whilst being mentored by industry role models. 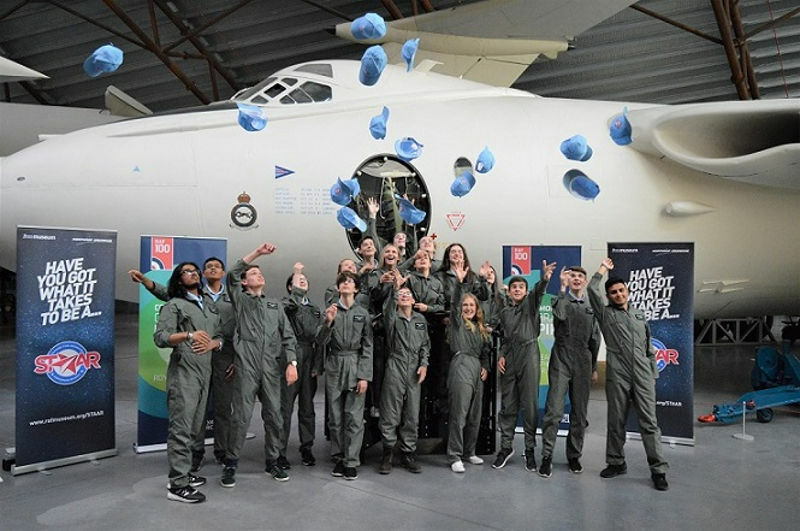 years we and our partners – the RAF Museum, RAF Cosford and Tablet Academy – have not only turned this into a reality, we have developed STAAR into a nationally recognised and sought-after STEM educational programme, attracting young people from across the UK. If you’ve got what it takes to be a STAAR and want to join the class of 2019, visit the Museum’s website www.rafmuseum.org/STAAR to apply. The programme is open nationwide to any UK Year 10 students showing an interest in and aptitude for STEM subjects. Applications are open until 8 April and must be completed by a teacher explaining why their student is suitable for the programme. 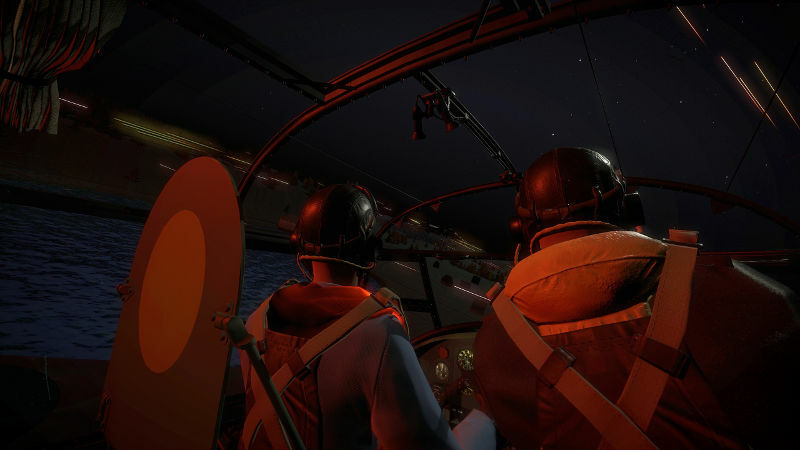 The Royal Air Force Museum invites you to take a seat on board a Lancaster during the legendary Dambusters raid of 1943, using Virtual Reality technology. The Dams Raid was the greatest feat of arms performed by the Royal Air Force and one of the key stories of the Second World War. Its success captured the public imagination at the time and over the next 70 years inspired a multitude of books, films and documentaries. 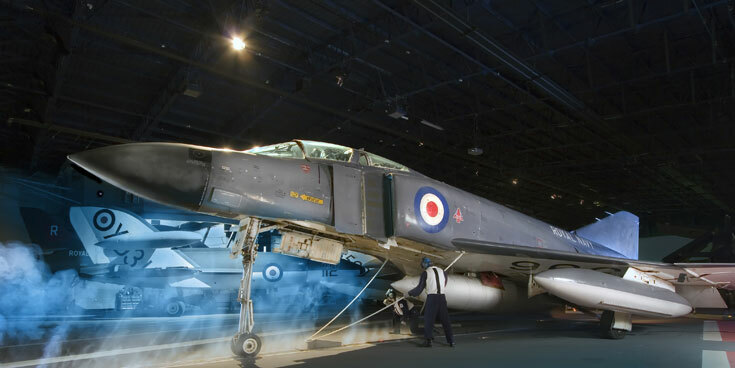 Dambusters: Immersive Histories at the RAF Museum London, is the newest part of the Dambusters offer that also includes a replica of the ‘bouncing bomb’, Barnes Wallis’ office and the original moulds of the first test bombs. The Virtual Reality Experience (VRE) puts the user inside a moment in history. For the first time ever, visitors to the Museum can step inside the story of the iconic operation through an authentic, interactive recreation of the Dambusters’ first mission on 16 May 1943 attacking the Möhne Dam. 360° first person views, spatialised audio and haptic feedback vests reinforce the experience of being aboard a No. 617 Squadron Lancaster bomber during Operation CHASTISE. Participants suit up in a vest and step inside an accurate physical set of a Lancaster. They are completely immersed and able to reach out to feel the window, fuselage and desk’ of the Lancaster bomber. As the aircraft continues it’s mission, users will also feel the ‘roar of the Lancaster’s Merlin engines’, through their haptic vests. The Dambusters Immersive Experience has been created by All Seeing Eye with input from No. 617 Squadron official historian, Robert Owen. Historic Navy Wessex Debut to Open Air Day! 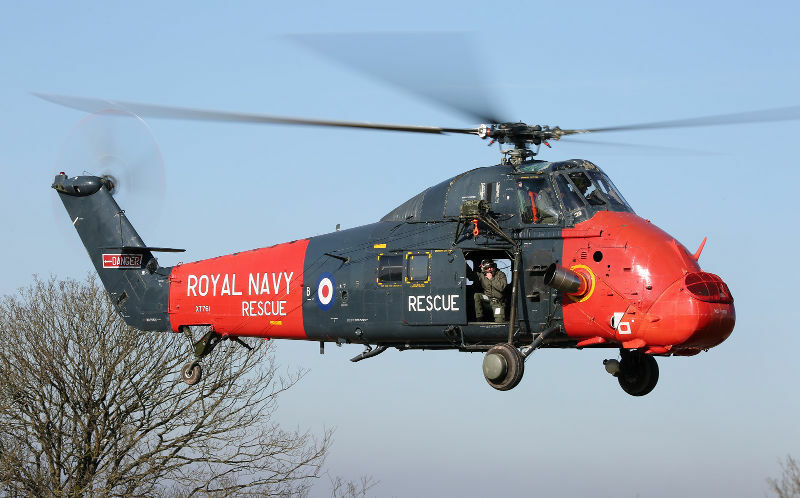 The world’s only flying Westland Wessex HU5 is coming home to Royal Naval Air Station Yeovilton to open the flying display at the Royal Navy International Air Day on Saturday 13 July on its airshow debut! This fifty-plus-year-old former troop transport, search and rescue helicopter and Falklands veteran has only been flying again since February 2019. It will make an exciting new addition to the UK airshow scene after its first display at Air Day. The Wessex, manufactured by Westland at Yeovil (now Leonardo Helicopters), was the Fleet Air Arm’s first purpose-built anti-submarine helicopter. The initial Wessex HAS1 (Helicopter Anti-Submarine) entered service in 1961, followed by the HU5 Commando variant two years later. Able to carry sixteen combat-ready troops into battle, Wessex HU5s served all RNAS Yeovilton’s Commando Helicopter Squadrons in the early-mid 1970s. Key deployments included the 1982 Falklands Conflict, during which Wessex transported and inserted British Special Forces personnel and ferried in fuel, equipment and weapons. 100 Wessex HU5s were built including XT761, which rolled off the production line in 1966. It went on to equip 845 NAS, 848 NAS and latterly 771 NAS, whose bright red and blue Search and Rescue colours it wears today. In private ownership, XT761 now belongs to Historic Helicopters’ fleet of airworthy types and return-to-flight projects, based at nearby Chard. It is also part of the Navy Wings associate collection, alongside other classic naval aircraft and helicopter designs. Set to give the five-plus-hour flying programme a nostalgic and colourful start, the sole airworthy Wessex HU5 is just one aspect of Air Day 2019’s planned vintage content. Discounted advance tickets can be booked at www.royalnavy.mod.uk/airday. To mark 50 years since the very first test flights of Concorde in 1969, the Fleet Air Arm Museum near Yeovilton in Somerset is poised to unveil special exhibits including the futuristic helmet worn by the pilot of those early flights, Brian Trubshaw CBE. The museum is home to one of only two prototype Concorde aircraft in the world and the first British-made Concorde (002), which was constructed as a test aircraft for the eventual fleet of 16 Concordes built for British Airways and Air France. Concorde 002 was largely designed and built at Bristol’s Filton airport, under the leadership of Trubshaw, a former Second World War pilot. In the 1960s and 70s Trubshaw was described as ‘every schoolboy’s hero’, flying test missions for fighter aircraft. He was at the controls on 9th April 1969 when Concorde 002 made its historic first flight from Filton to RAF Fairford in Gloucestershire, a journey lasting just 22 minutes. • Concorde 002 first achieved supersonic speed in March 1970 and later in the testing programme hit a maximum speed of Mach 2.05. • Mach 2 is approximately equivalent to 1,350 mph or 22 miles per minute, faster than a bullet from a gun and about the same as travelling from Leeds to York in under a minute. • At Mach 2, the outside of Concorde gets hot enough to fry an egg, yet the air it is travelling through is -65C. • Also at Mach 2, Concorde gets so hot it expands about 4 inches and has to have built-in expansion joints to accommodate this. • 1969 was also the year of the Moon landing, but in a world before sophisticated computer programmes, all this revolutionary science and design was done with slide rules, pencils and paper. Concorde 002 was retired to the Fleet Air Arm Museum on long term loan from the Science Museum after the test programme ended in 1976 and the first commercial Concorde flights began. The museum is also home to a number of aircraft that formed part of the Concorde development programme including HP 115 which was flown by several test pilots including Neil Armstrong. Renowned for being one of the most thrilling airshows on the planet, this summer’s event (July 19-21), which takes place on the 50th anniversary of the first manned moon landing, will be expanding its horizons beyond earth – to include the whole universe! With its theme Air & Space: Inspiring The Next Generation Air Force, the Air Tattoo will be turning its spotlight to the heavens to look at some of the exciting and innovative ways organisations are reaching out into space. So, expect rockets, astronauts and lots of exciting entertainment and activities across the showground – including a planetarium. Visitors on the Friday will also find themselves under the ‘microscope’ as Airbus DS’s Pleiades satellite flies over RAF Fairford taking a photo of the airshow as it orbits the earth. 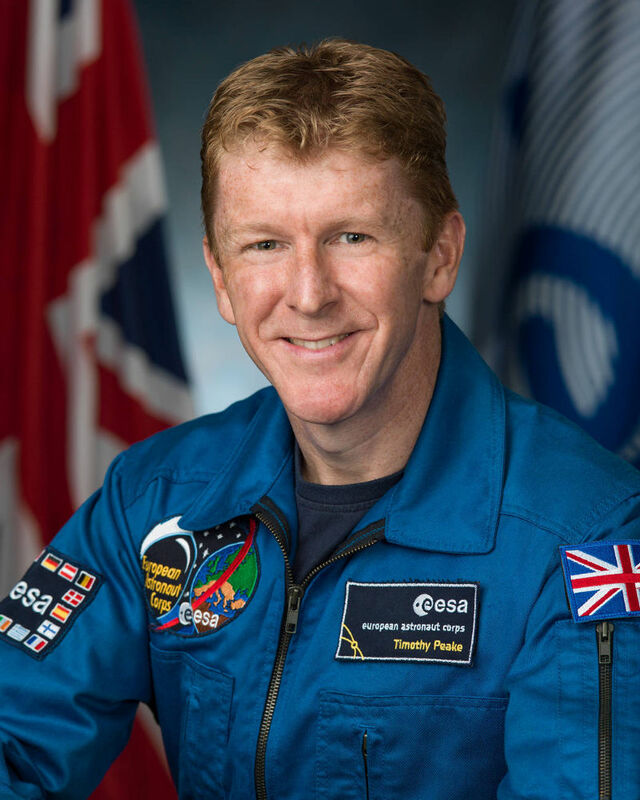 Giving his seal of approval to the Air Tattoo’s Space theme will be British astronaut Major Tim Peake who will be making an appearance at the airshow on Friday, July 19. Tim, who is currently Head of Astronaut Operations at ESA’s European Astronaut Centre in Germany, will be at the airshow to help inspire people in the critically-acclaimed Techno Zone®.